The hydraulic brake system in your vehicle is a precisely engineered system that needs the correct fluid to operate properly. Compared to other vehicle fluids, brake fluid is relatively straightforward as there are fewer types and smaller specification variances. Yet, it is often misunderstood by vehicle owners. We are going to break down the different types of brake fluid so that you can ensure you are getting the right fluid for your vehicle. This will help if you ever need to top up your brake fluid or if you are getting a quote for a brake fluid flush. Almost all vehicles on the road use glycol brake fluids. There is over a 99% chance that your vehicle will use one of these types of brake fluid. The three types are DOT 3, DOT 4, and DOT 5.1. DOT 3 was once the most common type of fluid used in road vehicles, however most automakers have upgraded to DOT 4 in new vehicles these days. DOT 4 is also not much more expensive these days so it is well worth the additional benefits. DOT 4 is more refined, offering higher wet and dry boiling points, and a lower water content. A higher boiling point and lower water content are desirable because the fluid is less likely to boil under extreme temperatures. 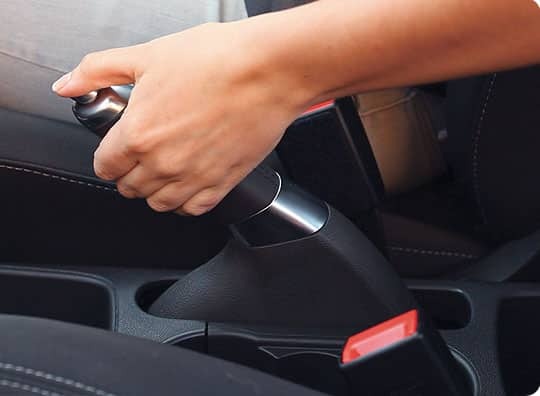 Boiling fluid creates air bubbles in a hydraulic system which will decrease pedal response, possibly to the point of brake failure in extreme cases. 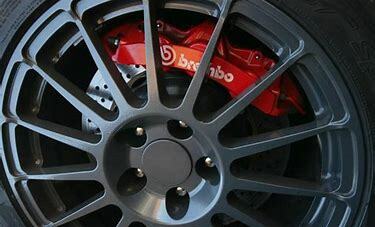 DOT 5.1 brake fluid is even more refined than DOT 4 and often offers even higher boiling points. It can be used as an upgrade in typical DOT 4 system, but it is more expensive. It should be noted that some high end DOT 4 performance brake fluids still manage to surpass DOT 5.1 specs, however they are also priced accordingly. DOT 5 brake fluid is a silicone based brake fluid. Do not confuse DOT 5 brake fluid with DOT 5.1 – they are very different and should not be mixed or used interchangeably. DOT 5 does have some advantages such as: it does not damage paint or harm skin on contact, it has a higher boiling point than DOT 3 and most DOT 4 fluids, it does not absorb water, and it is compatible with all rubber components. These advantages come with a number of disadvantages which is why DOT 5 is rarely used today: it cannot be mixed with glycol based fluids (even trace amounts can cause serious brake system issues), it is not compatible with many ABS systems, it often provides a softer pedal feel, performing a brake flush is more difficult with DOT 5. Also, because DOT 5 does not absorb water, trace amounts of water in the brake system can puddle in one spot and result in corrosion. Glycol based brake fluids are all hygroscopic which means they absorb water. 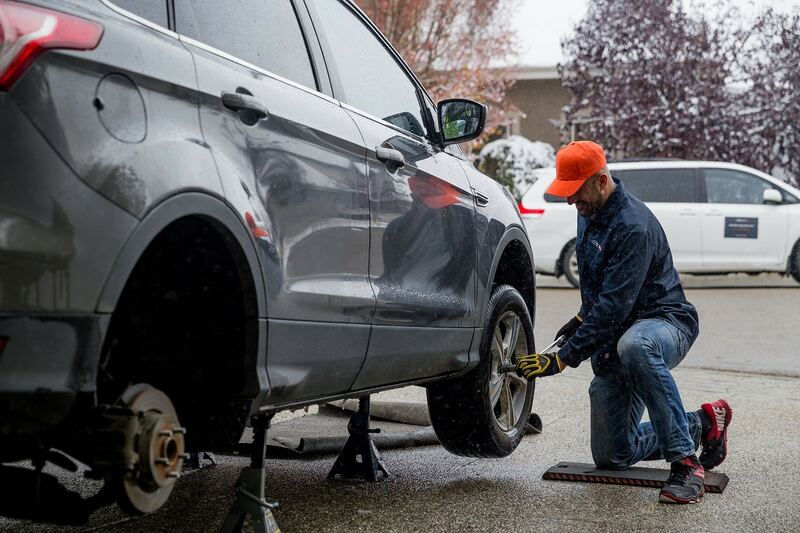 Even though the braking system is a sealed system, moisture will find a way into the system over time through plastic and seals. This means that brake fluid needs to be replaced regularly. See your owner’s manual for the proper interval and be sure to follow it. Excess moisture in your braking system over time can damage expensive components and even become dangerous. You should also check your brake fluid level checked regularly or confirm that your auto service provider has checked it for you. The brake fluid reservoir location can be found in your owner’s manual along with the proper type of fluid that should be used. This can also be found on the reservoir cap itself. Only use new unopened brake fluid containers. 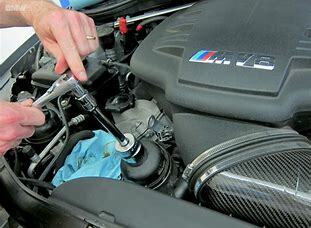 Opened brake fluid that has been sitting in its container will also absorb water and quickly degrade. instaMek checks for brake fluid leaks and inspects brake fluid level on all service packages to take care of this for you. 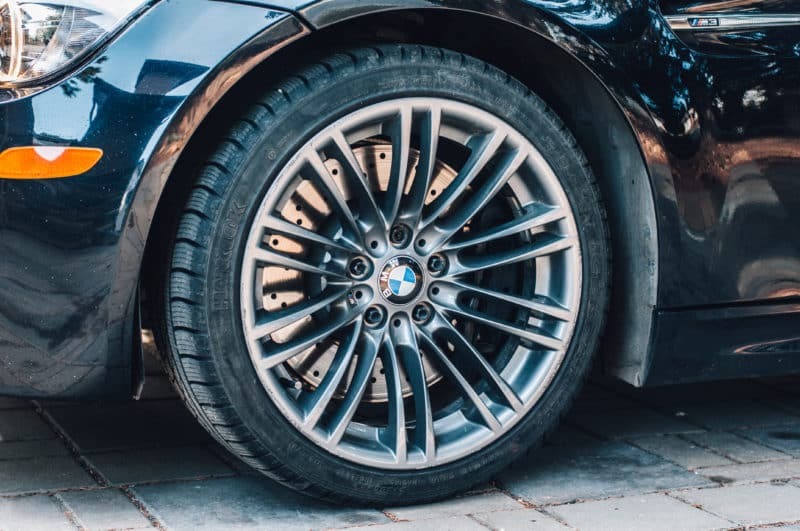 We use the correct brake fluid specified by your owners manual, but if you would like to upgrade from DOT 3 to DOT 4, or even to DOT 5.1 (typically performance vehicles only) during a brake flush, just let us know.